The last time Japan hosted the summer games—Tokyo 1964—it wowed visitors with its shinkansen, the sleek high-speed bullet train that has since become a byword for cool and efficient transport. The country used the games as a springboard to dominate the tech world. From Sharp's LCD (Liquid Crystal Display) screens to the Sony Walkman, Japan enjoyed an unparalleled reputation in the vanguard of technological innovation. "One of the big problems is that we think we're still innovative. But when you look at the rest of the world, we're not the most innovative," said Yoko Ishikura, an expert in competitiveness at Hitotsubashi University. "It is worrying to see that many Japanese have very little idea what is going on elsewhere," Ishikura told AFP. But authorities and firms are gearing up to change all that. "Our vision for the 2020 Games includes an aspiration to make them the most innovative in history," says Masa Takaya, spokesman for Tokyo 2020. Japan Inc. is "galvanised" to use the occasion to "dream up innovative new products", said Masanori Matsushima, manager at Panasonic's Olympics department, who oversees an entire exhibition space devoted to Games-time tech. 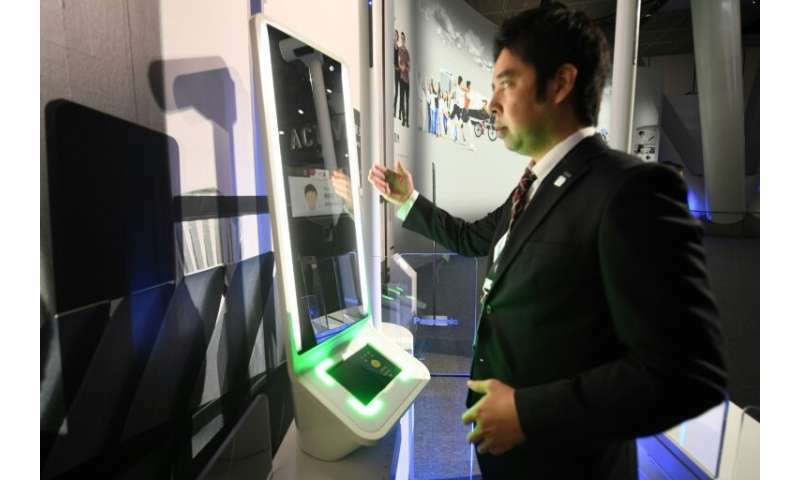 As soon as visitors arrive at the airport, they will be greeted by multilingual robots primed to assist them and automatic chairs designed to take them to a destination selected by smartphone. Panasonic is working on an ingenious automatic translation system that could be used for counters, for example. Two people speak on either side of a screen in their own language and the translation appears simultaneously written on the other side. Tech giant NEC is deploying a facial recognition system for 300,000 athletes, staff and journalists that will identify people within 0.3 seconds—speeding up access to venues and bolstering security. And NHK is set to wow its global TV audience with programming in ultra high-definition 8K. It already broadcast the world's first programme in 8K in December 2018 as it geared up for the games. Armchair sports fans will also have their experience enhanced with advanced motion sensor devices to offer data on ball position, heart rates or athlete movements. Fujitsu is even working with the International Gymnastics Federation to feed in motion data to assist judges. But perhaps the main sector hoping to use the games as a spur to innovation is transport. With the auto industry already going through a major transformation, "2020 is the ideal moment, probably the dividing line between the old and the new world," said Christopher Richter, an analyst at brokerage firm CLSA. 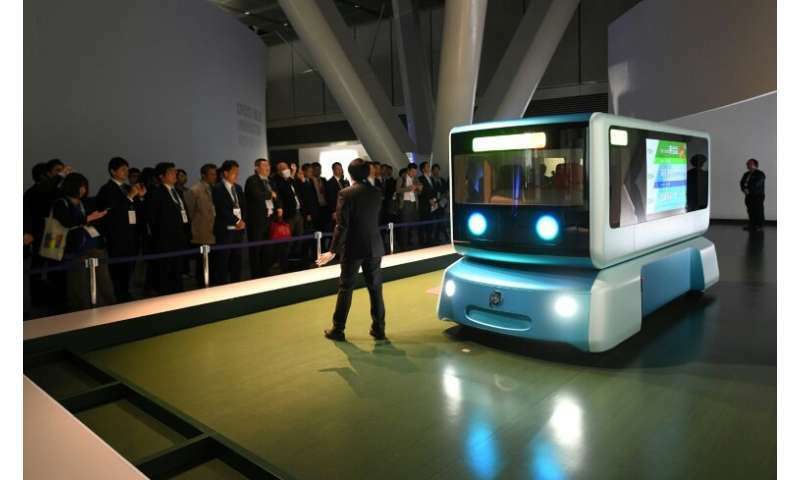 Toyota will be rolling out its futuristic e-Palette, a driverless car without a steering wheel, which will be able to move around "in a pre-defined zone", said Yasunobu Seki, Department General Manager at Toyota's Olympic and Paralympic division. 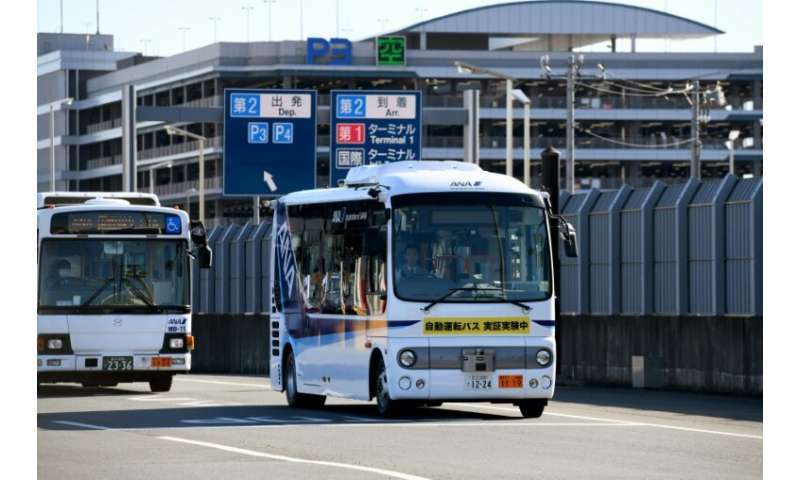 All Nippon Airways recently tested a driverless bus at Tokyo's Haneda Airport and some driverless taxi services aim to be fully functional in time for the Olympics. However, Richter warned that "we are a long way away from cars that can take you wherever you want to go". The Olympics will also be a chance for auto manufacturers to showcase the latest in clean driving technology. "The idea is to show that hydrogen vehicles can be part of everyone's life and that people take that away from the games," said Toyota's Seki. There are even rumours that a flying car will be used to light the Olympic flame, with a small start-up working on a project to produce such vehicles. But organisers are keeping their feet firmly planted on the ground and, for now at least, say they are not planning such a spectacular stunt.